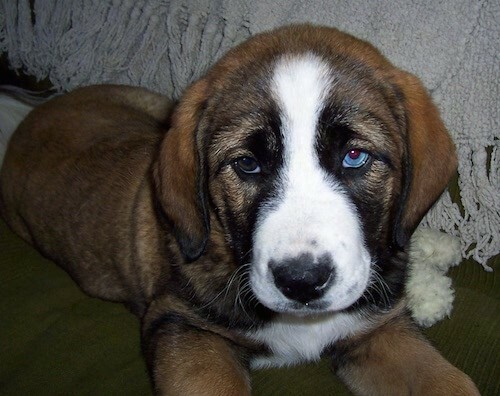 "Junebugs father is a Bullmastiff and her mother is a Basset Hound. Here is a picture of her at 10 weeks old. She looks like she's going to be a big girl with lots of personality. She has companionship traits of a Bullmastiff and the nose of a Basset Hound. She came from a litter of 5, 3 females and 2 males. All the females were different colors but the same size and build, the males had very short legs and long bodies. I've always wanted a Mastiff and my boyfriend always wanted a hound, talk about a compromise!! Living on the Queen Charlotte Islands we call her our Massett Hound."